When Gaye Mack upgraded her two condo bathrooms, she carefully considered how color would affect the space while still searching for that ‘wow’ factor. 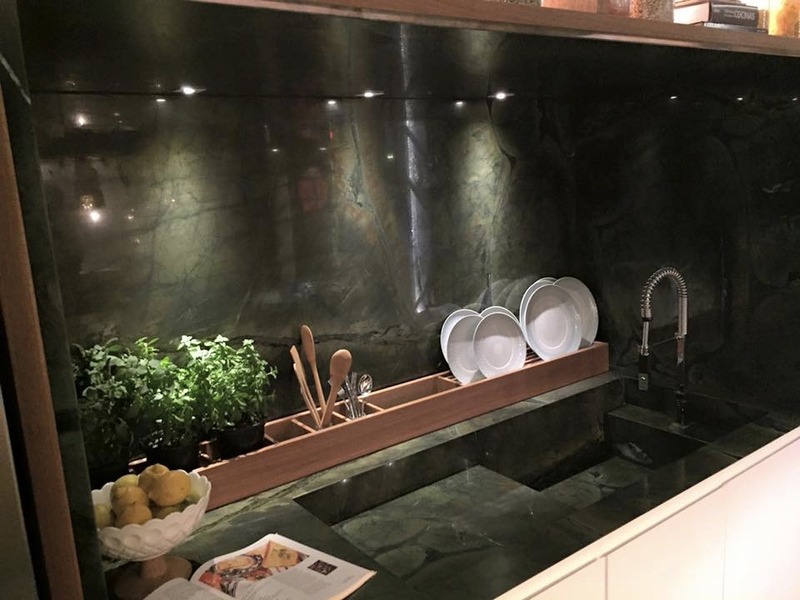 The Barrington, Illinois-based author and Evolutionary Astrologer chose a deep green marble countertop for one and a variant of darker green granite for the other. 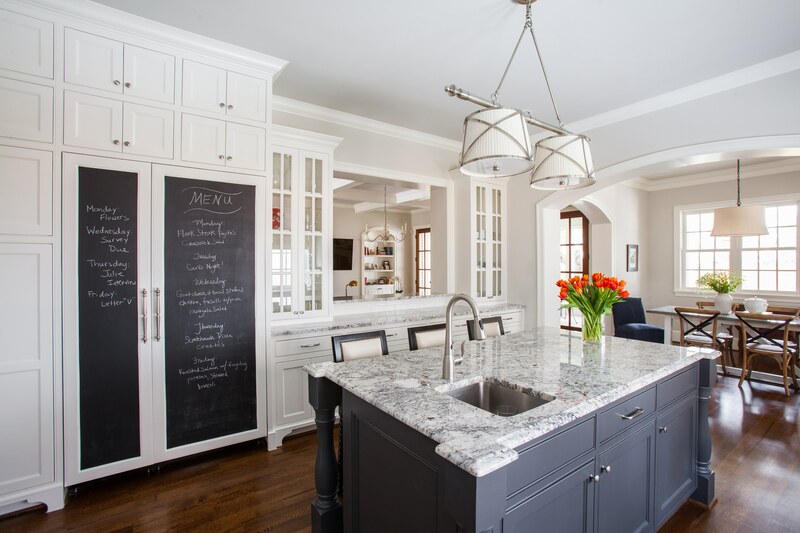 “The contrast with the white cabinetry is, I think, stunning,” she says. Photo courtesy of Modern Luxury Interiors Texas. 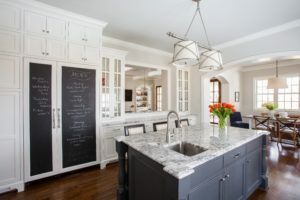 Traditional people tend to be drawn to more traditional designs, while people with bolder personalities tend to be comfortable with big movement and bold colors, according to Kathlyn Gossman, Kitchen and Bath Account Manager with Smokey Mountain Tops, which specializes in fabricating and installing granite, marble, and quartz surfacing for residential kitchen and bath and commercial projects. 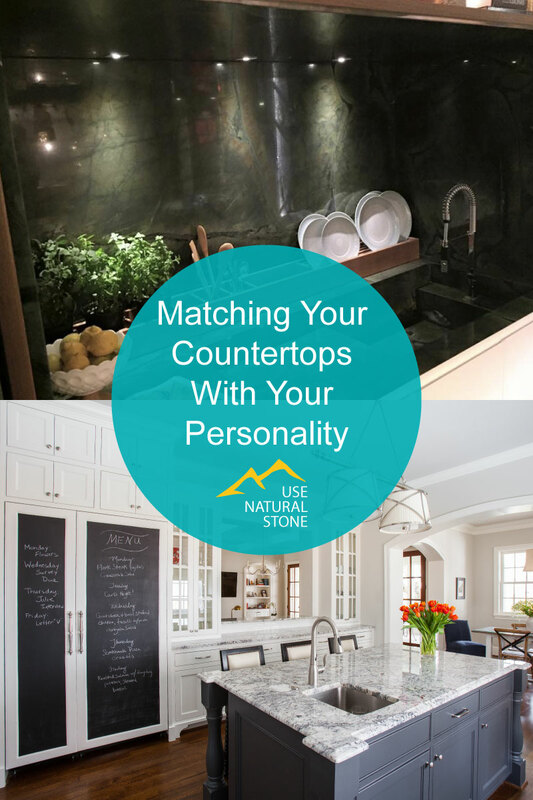 “Whichever one you lean toward, your countertops and overall style should look like you,” Gossman recommends. 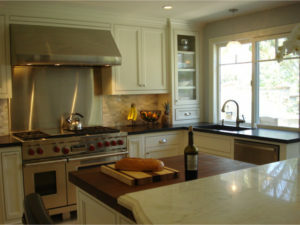 Stacy Garcia, a kitchen designer in Southern California who, along with her husband, owns Garcia Cabinetmakers, a custom cabinet shop in Southern California specializing in residential cabinetry, also recommends clients choose their countertop alongside their cabinetry and flooring. A material board can help them visualize options and develop a cohesive look. Photo courtesy of Garcia Cabinetmakers. 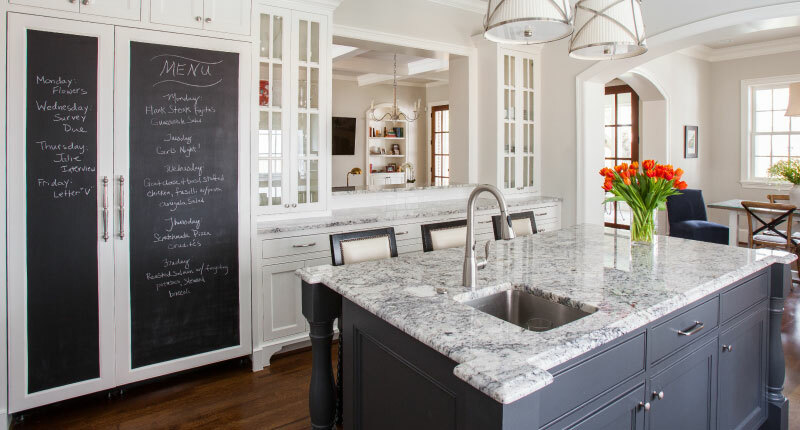 Making these decisions from the onset not only helps clients visualize the space, but helps save time and money in the long run since they’ll be fewer changes and delays once a project begins. 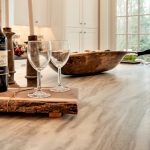 While one’s personality can drive the countertop style decision, something else clients should keep in mind is how long they’ll be living with their choice. 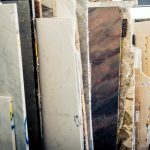 Solid colors with little to no movement help with resale of the home due to the versatility of the stone and kitchen, according to Anderberg. “If a client plans to live in their home for years and love the look of bold movement, then by all means, they should pick out something they love,” Anderberg says. 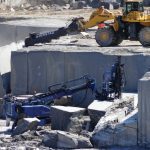 For those who love a bold look but want to temper it, Gossman suggests looking at perimeter applications versus islands, where movement shows better on larger pieces. “Often customers will do a high-movement statement piece on an island or peninsula where you can see more of the large design, and then do a toned-down solid for the perimeter to complement the other,” she says. Want some quick expert advice? Garcia runs a popular kitchen and bath industry Twitter chat where professionals share weekly insight on design: #KBTribeChat. While the discussions are geared for professionals, consumers are welcome to join in every Wednesday, from 2-3pm EST.